On Saturday, June 26 2010, at 7:00 p.m. Eastern Time, I present a tribute to an international artist of great distinction, pianist, MARTHA ARGERICH. Born in Buenos Aires, Argentina on June 5, 1941, Martha Argerich is recognized as one of the world's leading pianists, a status she has held from the mid-1960s. As a youngster of three, she started to play the piano and began studying professionally at age five. Her early teacher inculcated into the youngster the ability and significance of lyricism and expression in music. At age eight, Martha gave her concerto debut in 1949 performing Beethoven's Piano Concerto No. 1 in C Major; a year later, she was playing Mozart's Piano Concerto No. 20 in D Minor and the keyboard suites of Johann Sebastian Bach. The most prominent of Argerich's teachers, and the one to whom she gives the most credit for her art is the Austrian pianist Friedrich Gulda. Other teachers include Stefan Askenase and Maria Curcio. Her prizes started coming in at age 16 in 1957 when she won the Geneva International Compoetition and the Busoni International Competition within 21 days of each other. It was at the Busoni she met the legendary Italian pianist, Arturo Benedetti Michelangeli and had four lessons with that master over a period of a year-and-a-half. In 1965, Argerich won the Chopin International Competition in Warsaw and made her American debut in New York in 1966. If the pianist is chastised for anything, it is because Argerich has focused her career on concerto and chamber music performances. 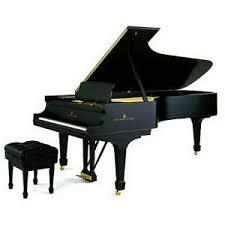 Since 1980, she has rarely played a solo piano recital because of the "loneliness" she feels on stage. Argerich has recorded prolifically for many labels, but mostly for Deutsche Grammophon and EMI Records. While only two selections fit conveniently into this broadcast, the repertoire represents among the best examples of the pianist's early- and later art. I offer biographical information about the artist at the beginning of the broadcast. The program can be heard anywhere in the world as long as you have a computer with speakers and adjust your time schedule to equate to 7:00 p.m. Eastern time. My usual descriptive dialogue about the artist or subject matter precedes the musical content. I love the Prokofiev, in fact I listen to it (with Ashkenazy Previn/LSO) on a daily basis, I'm really sorry that I will miss the program. Well Seán, I thought of you when I selected the Prokofiev Piano Concerto No. 3. I used the EMI recording with the Montréal Symphony/Dutoit but could have used the DGG recording with Berlin Philharmonic/Abbado! At least your heart is in the right place. I will miss your not being there listening in Dublin! Lance wrote: Well Seán, I thought of you when I selected the Prokofiev Piano Concerto No. 3. I used the EMI recording with the Montréal Symphony/Dutoit but could have used the DGG recording with Berlin Philharmonic/Abbado! At least your heart is in the right place. I will miss your not being there listening in Dublin! Lance, thanks for the thought. I actually have a copy of her recording with the Berlin Philharmonic conducted by Abbado, I must seek out the Dutoit recording. Seán wrote: Lance, thanks for the thought. I actually have a copy of her recording with the Berlin Philharmonic conducted by Abbado, I must seek out the Dutoit recording. Strangely enough, I much prefer the later recording with Dutoit to the earlier one with Abbado. I just find the earlier recording far too heavy and plus, the second one is just too witty and charming to ignore. There's a fantastic 1st on the same disc too, and a bright and sunny Bartok... so it is definitely a disc worth seeking out! Got home a bit later than expected, so only heard the Prokofiev Concerto but enjoyed it very much. She's terrific!